New York Yankee legend Yogi Berra could have described Mayor Steven Fulop’s second 2017 State of the City address as “Déjà vu all over again” – only not quite. The speech touched on the Journal Square area, development, unemployment, and the homeless. 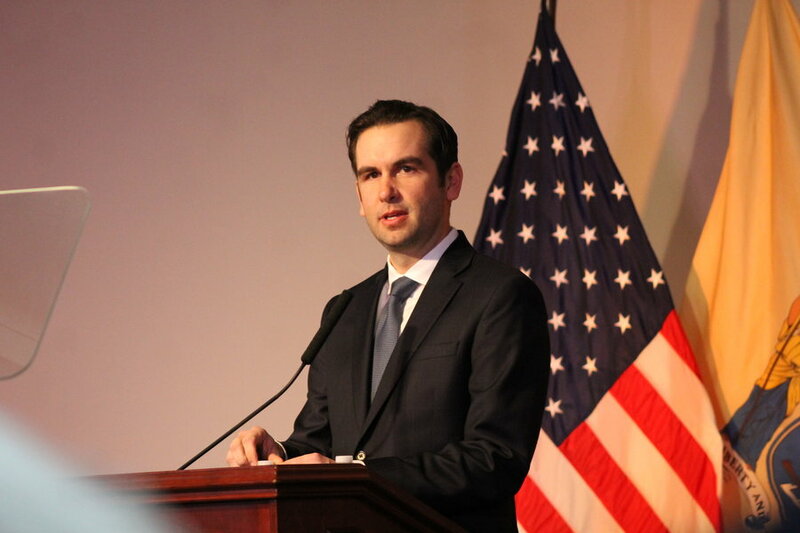 “While we have worked hard to build one Jersey City, we understand that each of our communities require a tailored address that highlights the local issues most important to you and to your neighborhood,” Fulop told those who attended the event. But he also gave a brief overview of the city as a whole. He said Jersey City’s unemployment rate has dropped to its lowest in 25 years. He attributed this to efforts at both job and small business creation, claiming Jersey City is at the forefront in the state, bringing more than 7,000 jobs to Jersey City over the last three and half years and more than 600 small business openings. Jersey City currently has 10,000 new residential units under construction and another 17,000 approved. At times, the mayor sounded more like the candidate that he is, running for reelection, such as when he said more affordable housing has been built in the last three and half years than in any prior administration in the city’s history. Fulop talked about building housing for homeless veterans as well. He also pointed out that Jersey City has become a model for a number of policies, such as paid sick leave and a $15 per house minimum wage for municipal workers, prisoner reentry programs, a bike share program, and insurance coverage for transgender city employees. He also predicted there will be no tax increase this year, for the third year in a row. neighborhood could ever become the booming economic hub it once was,” Fulop said. While development bloomed along the waterfront, Journal Square remained in disrepair. “Today, I truly believe that Journal Square’s long road to recovery is coming to an end, and that the best success story of our ever-changing city is being written right now, and right here,” Fulop said. west, and that our expansive skyline will soon rival that of any major city in the country. Fulop said his administration intends to repair its contentious and litigious relationship with Friends of the Loew’s Theater in order to provide an entertainment center at Journal Square. 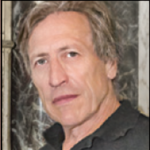 The Loew’s, along with nearby Mana Contemporary, he said, form the foundation for creating a thriving arts community. In order to expand the area’s community of artists, the city changed a redevelopment plan for the area behind Loew’s, which is intended to provide an incentive for investing in theaters, galleries, studios, museums, and retail. “Through a partnership with the Jersey City Redevelopment Agency, this change will also increase contributions into the Jersey City Arts Fund, which will work to further develop arts and cultural spaces throughout this neighborhood,” Fulop said. Associated with this is the development of the Pathside Building designed to become a new regional art museum. and the Jersey City Economic Development Corporation will be located on the top floor of the building. In a deal with Hudson County government, the city will transfer land to become the site of the new Hudson County Justice Complex that will include criminal and family courts. The city is also making infrastructure and safety improvements throughout the area, Fulop said. Perhaps the biggest challenge will be the city’s ability to merge the new community with the existing community, he said. Part of the changes will also involve helping the homeless population in the area. The city in the last year invested more than $1 million to support homeless programs with local partners to provide outreach and rapid re-housing and rental assistance. services in Journal Square,” Fulop said. Although the city has been active in park development throughout the city, Ward C has also benefited.